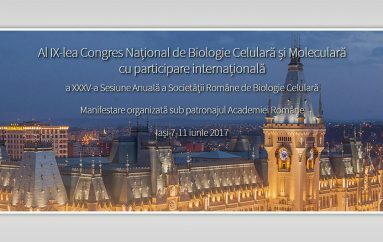 D-nul Profesor Duarte Nuno Vieira, Decan al Facultății de Medicină din cadrul Universității din Coimbra, Portugalia, a primit, din partea Universității de Medicină și Farmacie „Grigore T. Popa” Iași, titlul de Doctor Honoris Causa, ca semn al recunoașterii meritelor deosebite în activitatea științifică și academică. 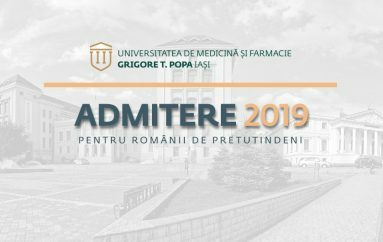 Ceremonia de decernare a titlului a avut loc joi, 8 noimebrie 2018, în Sala Senat a Universității de Medicină și Farmacie „Grigore T. Popa” Iași. 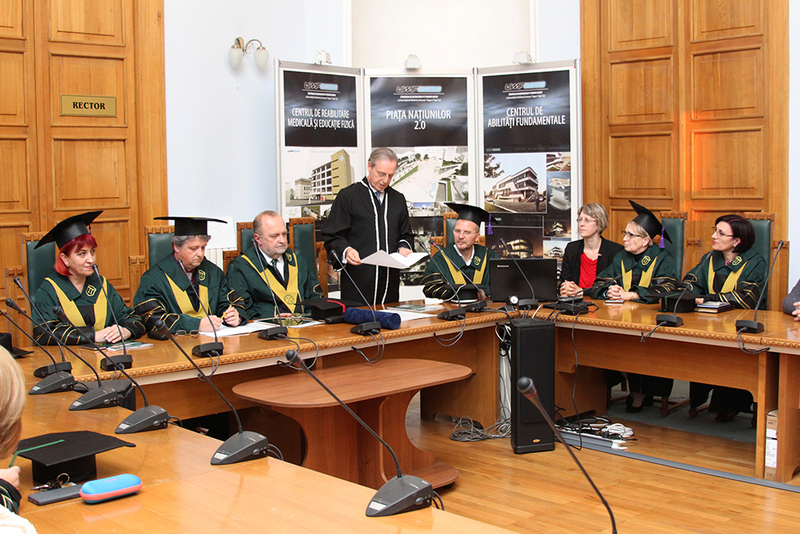 The assumed mission of our University is to cultivate, recognize and promote academic and scientific excellence. In the spirit of academic values, we have the honor today of imparting the highest expression of our recognition, the title of Doctor Honoris Causa, to Duarte Nuno Vieira, Full Professor of Forensic Medicine, Forensic Sciences, Ethics and Medical Law at the Faculty of Medicine of the University of Coimbra, Portugal, Dean of the Faculty of Medicine of the University of Coimbra, Portugal. in the honor of one of the most important personalities in the field of Legal Medicine, with key contributions to the development of this field internationally. Professor Dr. Duarte Nuno Vieira graduated in Medicine (M.D.) in 1983 at the University of Coimbra, and four years later- in 1987- he obtained the Master Degree (MSc) in Occupational Health at the same University. In 1992 he obtained his PhD Degree in Medical Sociology and in Forensic Medicine from the Universities of Coimbra and Santiago de Compostela, Spain. He was awarded the title of Medical Specialist in Legal and Forensic Medicine and in Occupational Health, by the Portuguese National Board of Medicine, with the degree of Chief of Service. The experience of professor Vieira in the field of legal medicine has enriched over time with studies that have led to his recognition as an international expert in this field as well as in the field of human rights and ethics. He was a Post-Doc in Forensic Medicine at the University of La Sapienza (Italy) and obtained Post graduated Diploma in Legal and Forensic Medicine, in Post Traumatic Bodily Injury Assessment and in Social Security and Work Medicine Expertise by the University of Coimbra. Professor Vieira holds Competences in Health Services Management, in Bodily Injury Assessment, in Social Security Expertise, and in Experimental Pathology. He also holds a training certification in International Forensic Management by Justice Rapid Response and several training certifications in different areas of the forensic expertise by the International Committee of Red Cross, the United Nations, and several international scientific associations. 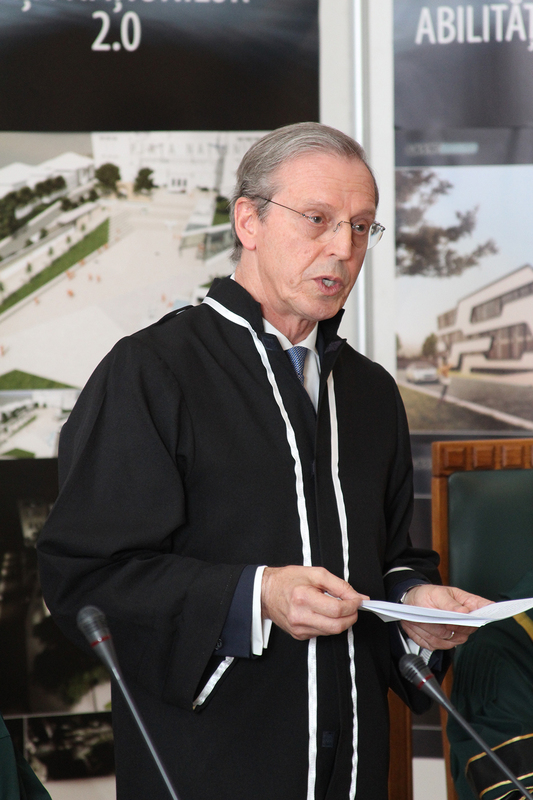 Professor Vieira was the Director of the Service of Forensic Pathology of the Institute of Legal Medicine of Coimbra between 1995 and 1996 and, between 1996 and 2000, he was the Director of the Institute of Legal Medicine of Coimbra and also the President of the Medico-Legal Council of Coimbra. Between 2000 and 2013, Professor Vieira was the President of the National Institute of Forensic Medicine and Forensic Sciences of Portugal, President of the Medico-Legal Council of Portugal and member of the Portuguese National Council of Civil Protection. He was a member of the Portuguese National Council of Ethics and Life Sciences during the period 2011-2014. Currently, Professor Vieira is Full Professor of Forensic Medicine and Forensic Sciences, of Ethics and Medical Law at the University of Coimbra and at the University of Beira Interior (Covilhã) and Member of the Centre of Biomedical Law of the University of Coimbra. He is also the Head of the Department of Forensic Medicine and Dean of the Faculty of Medicine of the Coimbra University. He is the coordinator of the Master Degree in Forensic Medicine and Forensic Sciences of the University of Coimbra and of the Post-Graduation Course in Personal Injury Assessment of the University of Coimbra, member of Scientific Committees of the Master Degree Courses in Forensic Sciences from the Universities of Lisbon and Porto (Portugal) and member of Scientific Committee of the PhD Degree Course in Forensic Sciences from the Universities of Porto. Professor Vieira is an internationally renewed personality, with outstanding academic and professional activity. He is Professor at the European Center for Peace and Development of the University for Peace of the United Nations and visiting professor on other 11 Portuguese or European, Asian, African and South-American Universities. He is also an External Examiner in several European, Asian and South-American Universities. Professor Vieira has a rich expertise in human rights protection and in examination of the victims of torture in conflict or post conflict areas. Since 2014 he has been the Chairman of the Scientific Advisory Board of the Prosecutor of the International Criminal Court and he is currently Member of Executive Committee of the Working Group in Forensic Pathology and Forensic Anthropology of the Permanent Committee of INTERPOL on Disaster Victim Identification and member of the Advisory Board of the Portuguese National Mechanism for the Prevention of Torture. Since 2013 he has been the President of the Thematic Federation of Legal and Forensic Medicine of the European Union of Medical Specialists (UEMS). Currently he is the President of the Portuguese Association of Bodily Damage Assessment, the Vice-President of the European Confederation of Experts in Bodily Damage Assessment and Co-President of the Latin-American Academy of Bodily Damage Assessment, President of the Ibero-American Network of Institutions of Forensic Medicine and Forensic Sciences, Member of the Advising Committee of the American Board of Independent Medical Examiners, Member of the Human Rights Resource Centre of the American Academy of Forensic Sciences, Member of the Administration Board of the Mediterranean Society of Legal Medicine, Member of the Scientific Committee of the Centre for Documentation in Bodily Damage Assessment of Paris and Member of the Scientific Committee of the European Institute for Bodily Damage Assessment of Paris, Member of the Board of the Ibero-American Association of Legal Medicine and Medical Deontology. Over time, Professor Vieira’s outstanding academic and scientific activity has been recognized by his leading positions of the most important professional associations in the field of legal medicine and related fields. To name a few, he was the President of the European Council of Legal Medicine, the International Academy of Legal Medicine and currently member of the Presidium Board and Chairman of its Scientific Council, President and permanent member of the Executive Board of the International Association of Forensic Sciences, of the World Police Medical Officers, of the Mediterranean Academy of Forensic Sciences, President of the Latin-American Association of Medical Law, Vice-President of the International Association of Bodily Damage, of the European Academy of Legal Medicine and of the Ibero-American Society of Medical Law. He was also member of the Board of Advisers of the American Board of Independent Medical Examiners. Professor Vieira has also renewed expertise in ethics and deontology. He was a Member of the Council for Ethics and Deontology of the Portuguese Medical Association and he is currently President of the Ethics Committee of the Hospital da Luz Coimbra and Member of the Ethics Committee of the Hospital dos Lusíadas of Porto, Portugal. The rich scientific activity of Professor Vieira is demonstrated by the over 350 scientific papers he has written as author or co-author, and by the 13 books of which 2 in French and 3 in English. His most recent book (Monitoring Detention, Custody, Torture and Ill-treatment: A Practical Approach to Prevention and Documentation, published together with Jason Payne-James and Jonathan Benyon), was awarded, last July, by the British Medical Association, the title of the best and “Highly Commended” book in English language of 2018, in the category of Basis of Medicine. Professor Vieira serves on the editorial boards of several international leading scientific publications of his area of medical expertise, as well as in the editorial boards of national forensic scientific journals from 18 different European, American, Asian, Middle-East and African countries. He is the Chief-Executive Editor of the Journal of Forensic Research (edited by Taylor & Francis), International Associate Editor of the Spanish Journal of Legal Medicine (edited by Elsevier) and Chief-Editor of the Portuguese Journal of Personal Injury Assessment (edited by Coimbra University Press). Professor Vieira has given, as invited keynote speaker, more than 700 keynote lectures outside of Portugal, in countries of Europe, Asia, Africa, Middle-East, Australasia, and of the entire American continent. He is the author or co-author of more than 1.500 oral communications and posters presented in scientific events. Professor Vieira has participated in many national and international scientific researches sponsored by national and international research funds. He supervised 15 PhD theses and more than 60 Master theses, and he has been member of more than 150 academic juris and other academic evaluation committees in European, Asian, African, Middle-Eastern and South American universities. The important research achievements and the contributions of Professor Vieira to the development of legal medicine, both nationally and internationally, as well as his intense activity in the field of human rights and ethics, are also demonstrated by prestigious awards offered to him by international professional societies. He has received honorary fellowship from 18 universities, scientific associations and academies (from Europe, North, Central and South America, Africa and Asia). He is a fellow of the American Academy of Forensic Sciences. He has also been awarded with distinctions from different governments (Kosovo, Jordan, Egypt, Cataluña- Spain, etc.) and municipalities. He is an honorary Citizen of the City of Guayaquil, Ecuador. 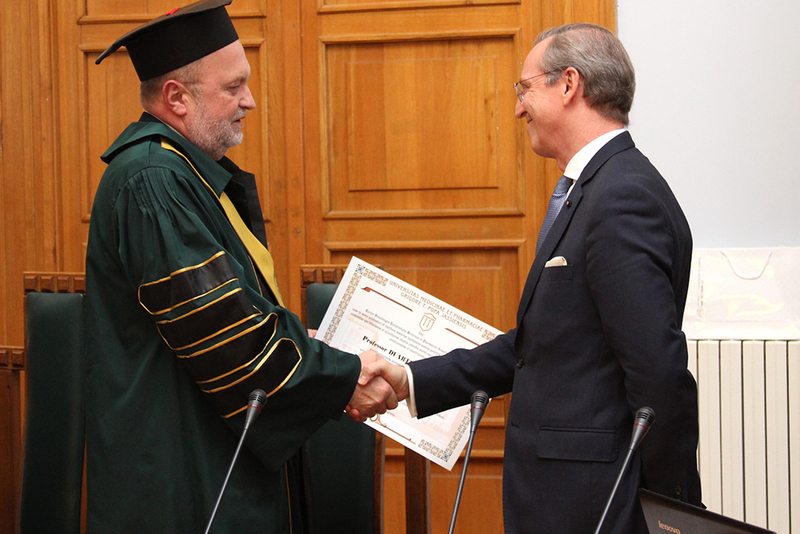 He has received the Gold Medal of the Bask Society of Bodily Damage Assessment (Spain); Honoris Causa Member of the Association Valuore Huomo from Italy; Gold Medal of the Mediterranean Academy of Forensic Sciences, Gold Medal of the Comenius University in Bratislava, Slovakia, Gold Medal Award of the Portuguese National Institute of Legal Medicine and Forensic Sciences. He is Honorary Member of many national and international professional associations throughout the world. He is the academic chair of the Portuguese Academy of Medicine, Honorary Academic of the Royal Academy of Medicine of Granada (Spain), of the Academy of Medicine of Uruguay and of the National Academy of Sciences, Humanities and Arts of Italy. Throughout his career, as a recognition of his invaluable support and contribution to the development of the field of Legal Medicine, Professor Vieira has received 15 scientific prizes (in countries from Europe, North and South-America, Asia and Africa) and was awarded by the American Academy of Forensic Sciences, in 2014, with the Douglas Lucas Medal Award, the most prestigious international award in the area of legal and forensic medicine. He has also been awarded with the title of Knight of the Royal Order of Nossa Senhora da Conceição and of Knight of the Order of the Holy Sepulchre of Jerusalem. Professor Vieira has also an outstanding international activity in both teaching and research. He is the coordinator of the European Post-Graduate Diploma in Forensic Medicine and Forensic Sciences (organized under the support of the University of Coimbra) and taught in several parts of the world. Professor Vieira has participated in more than 50 international missions promoted by the United Nations, International Amnesty, European Commission, European Council, International Red Cross, Organization of the American States, etc., especially in the field of Human Rights and in the specific area of torture and other cruel, inhuman and degrading treatments or punishments. Professor Vieira has worked on a regular basis as temporary Forensic consultant for the High Commissioner of Human Rights of the UN, mainly for UN OHCHR and UNODC, in several international missions, and in the majority of the fact-finding missions promoted by the UN Special Rapporteur on Torture since 2006. He is member of the Forensic Expert Group of the International Rehabilitation Council for Torture Victims and member of the Forensic Adviser Group of the International Committee of Red Cross. Along the years, Professor Vieira has had an important contribution to the improvement and organization of national forensic systems in many countries, such as: Kosovo, Macedonia, Bosnia-Herzegovina, Libya, Egypt, Palestine, Bahrein, Tunisia, etc. He has been member of several scientific committees, working groups, expert commissions, etc., at national and international level (especially in Europe and South-America). He has witnessed, as a forensic expert, in the courts of several countries from the European, African and the American continent. Professor Vieira has been President and organizer of the main international meetings in his area of expertise, and has been member of the organizing and scientific committees of more than 70 international congresses in countries belonging to the 5 continents. 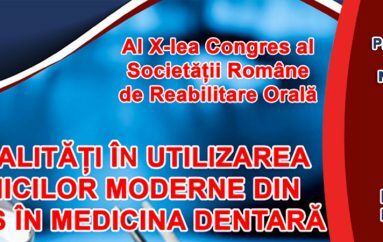 Given the outstanding activity of Professor Vieira in the field of Legal Medicine and also in the field of human rights protection, his valuable contribution to the development of these fields at both national and international levels, it is a great honor for the medical academic community of “Grigore T. Popa” University of Medicine and Pharmacy of Iași, Romania to welcome within its ranks a prominent personality of modern science, researcher and educator. 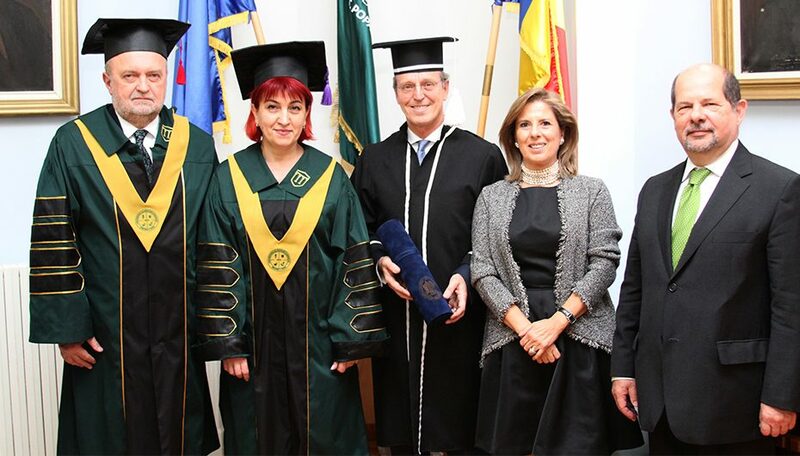 By awarding Professor Duarte Nuno Vieira with the title of Doctor Honoris Causa, an honor truly deserved, we hope also to create a premise for a future collaboration between the University of Coimbra, Portugal and “Grigore T. Popa” University of Medicine and Pharmacy of Iasi, Romania. At the end of this Laudatio, I wish to assure Professor Duarte Nuno Vieira of our utmost consideration, respect, admiration and gratitude.